Uprising44 combines third-person action play with real-time strategy. 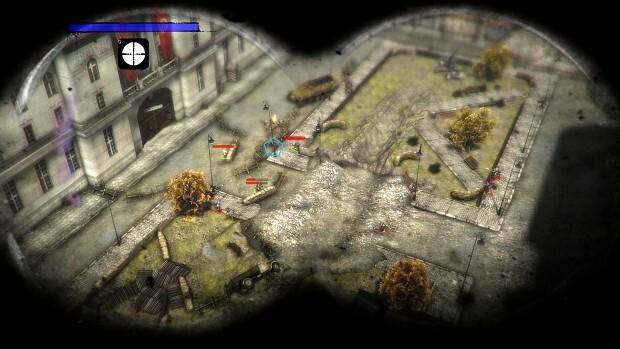 It is a unique combination of the two modes of play, and has an in-depth and interesting story-line which has not yet been used in WWII computer games – the greatest civilian against Nazi occupying forces – the Warsaw Uprising. It is a story of the Silent Shadows - forerunners of modern day special forces - paratroopers dropped behind enemy lines to organize resistance and use diversionary tactics in the fight against the forces of the Third Reich. An appropriate audio-visual setting combined with cover system (an excellent, proven method of game play), the story-line, and diverse settings ensure a dynamic and enjoyable game not only for players familiar with this type of theme, but also those merely wanting entertainment.